These kitchen cupboards were made so that the grain runs across the doors, showing off the flow of the walnut veneer. 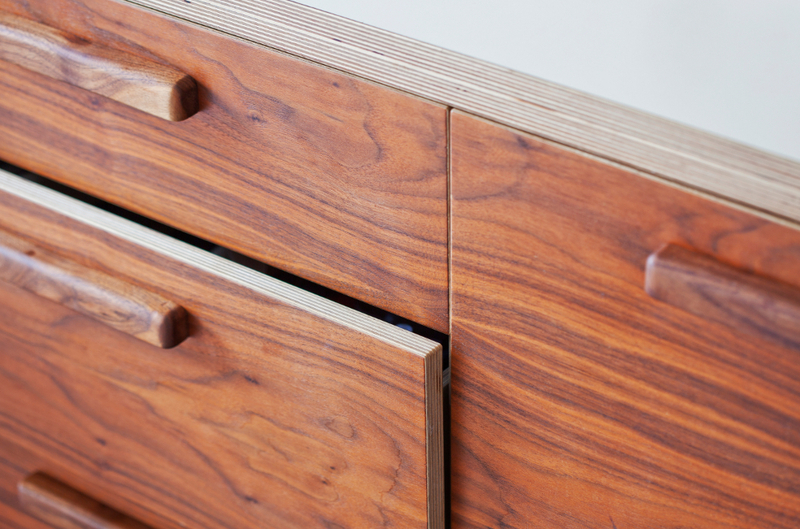 The handles are made from solid walnut creating a seamless finish. 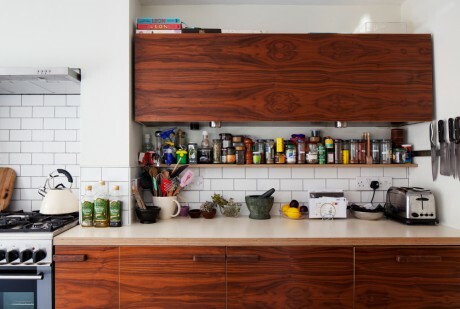 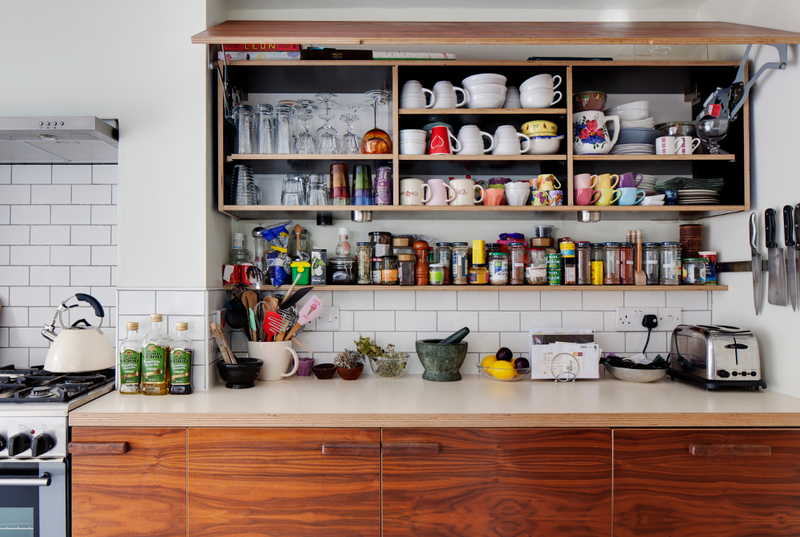 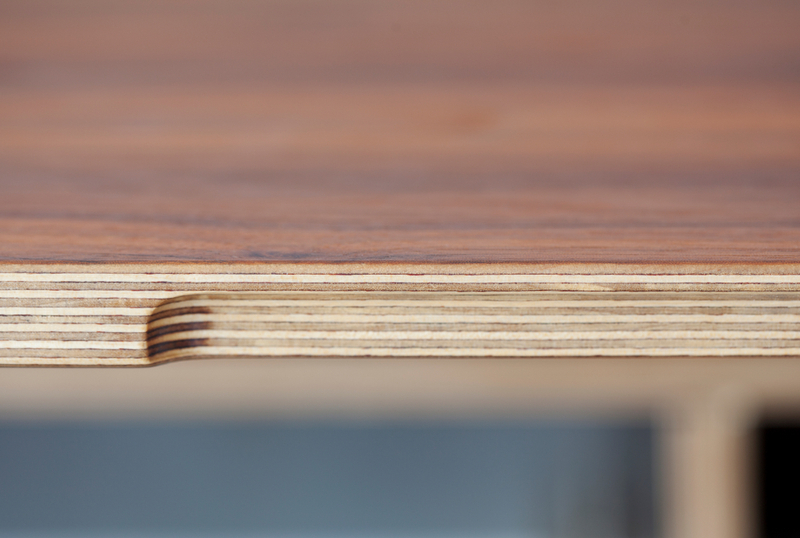 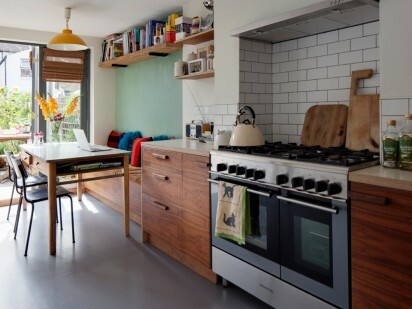 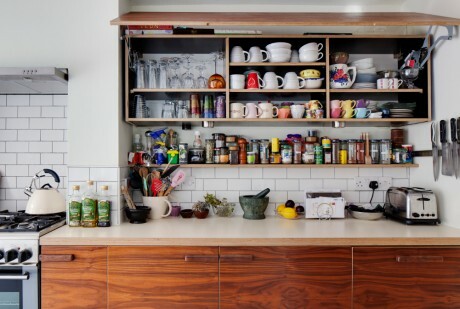 The whole kitchen uses birch ply as a substrate, with a Formica work surface and phenolic-faced carcasses.